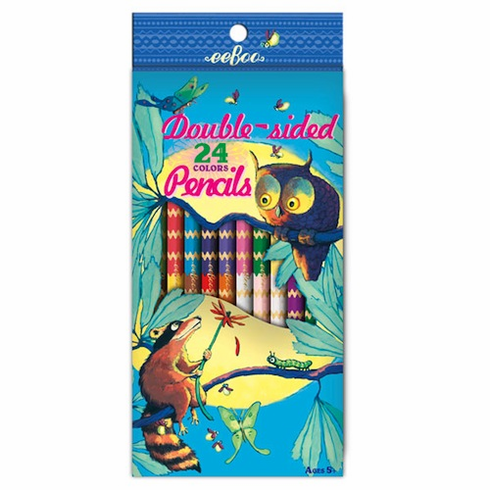 12 double-sided pencils to add all kinds of color to your art work! Illustration by Kevin Hawkes. 24 Colors! Adorable Pattern on Pencils!